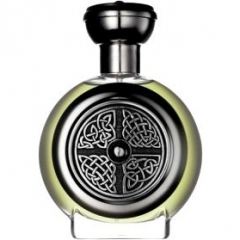 Spirit Collection - Adventuress is a perfume by Boadicea the Victorious for women and was released in 2008. The scent is fruity-floral. It is still in production. What? What was that? Oh, the fleeting whiff of a perfume gone by. Far from being adventurous, this perfume is the spitting image of domesticated and carefully cultivated pleasantness. The opening citruses last only a moment, and while ginger does provide some contrast to the peach, it loses eventually and blends into discreet musky oblivion. Points to Boadicea for sober use of musk (this perfume escapes the laundry detergent genre), but all in all I have yet to encounter a more disappointing name to perfume ratio. Sillage seems to be on the weak side, and the perfume dries down very quickly. The least I would have expecting was the wild feminine aroma of Xena's old leather armour hanging by the campfire in hostile territory, but I suppose we all have our own ideas of adventure. I do hope Boadicea the Victorious has more interesting perfumes to offer, since this is the first of them that I have tested. Don't get me wrong: it's pretty and pleasant, but it's also far less adventurous than even most other fruity-floral scents around. I have absolutely no idea who decided on the name since it is so far-fetched. Write the first Review for Spirit Collection - Adventuress!